Unpaginated. Set of 5 Schools, Education and Children Based Pelican Paperbacks. This includes 'The Comprehensive School', 'A Guide to English Schools', 'The Normal Child' and 'Educating and the Working Class'. May include light foxing, tanning, tearing or inscriptions. May include mild rubbing, corner bumping and fine tearing to page edges. 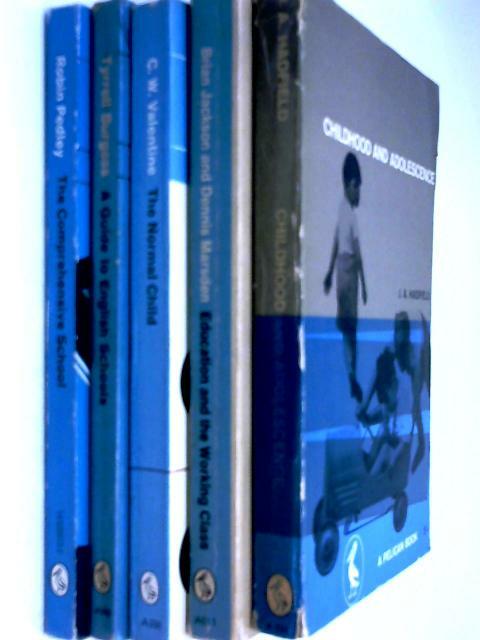 Set of 5 Schools, Education and Children Based Pelican Paperbacks.